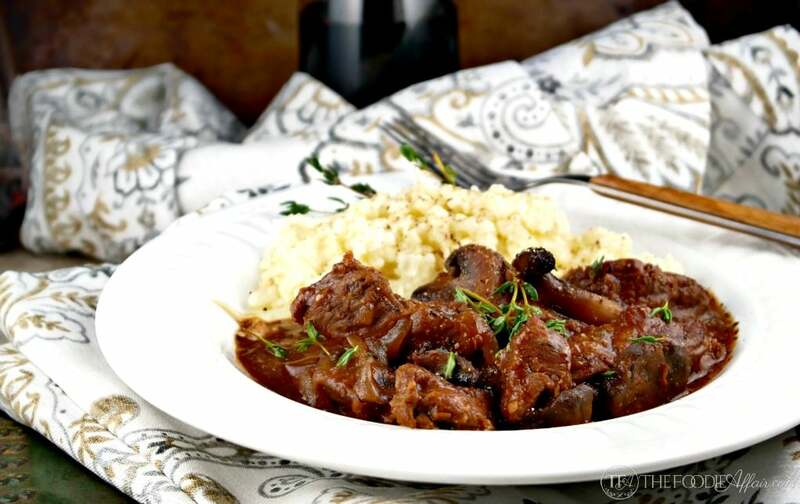 Slow cooked sirloin tips with mushrooms and onions simmered in red wine. This dish pairs well with mock mashed potatoes for a low carb meal or serve with noodles for a traditional dish! Pure comfort food in a bowl made with the best ingredients possible! Today I’m sharing a recipe that is made with 100% grass-fed beef from a subscription mail delivery service called Butcher Box! Seven to ten pounds of premium meat delivered to my front door! This isn’t the first time that I’ve come across grass-fed beef delivery service. My neighbor and I ordered a split-half a couple of years ago, which is between 80-90 pounds of beef! That is a lot of meat for two families, especially since we don’t have a lot of freezer space, and only eat beef a couple of times a week. My neighbor placed the order, picked the beef up from a designated spot during a certain timeframe, and then dropped it off at our houses. Although we both love having grass-fed beef free of antibodies and hormones to make our meals with, we just don’t have the freezer space, so we didn’t place an order again. Instead, I try to buy organic chicken and grass-fed beef when I go to the grocery store, but have you noticed how limited the selection is if the option is available? There is usually one small area where the beef is stocked and more often then not the only variety left is ground beef. Butcher Box had me (and you!) in mind when they developed their business plan. Three to five quality meats of different cuts, which includes a premium cut like the sirloin tip roast that I slow cooked is in every box! Each delivered box is packed with seven to ten pounds of meat, which will give you about 20 servings. I had no problem nestling the vacuum packed sealed meat between veggies in my freezer. Even my ice cream stayed it its designated spot completely undisturbed! BONUS! If you have cooked with grass-fed or organic meats then you know that the difference in taste is noticeable. Even the way the meat looks is different. There’s not a lot of fat embedded in the beef, so what you are buying is all meat! How many times have you taken lower quality meats out of the package to see flaps of fat tucked under the meat? By the time I cut off those pieces what I thought was 2 pounds turns into 1 1/2 pounds! I used the 2.2 pounds of Butcher Box sirloin to cook this Sow Cooked Sirloin Tips with Mushrooms. The meat was lean without any fat that needed to be cut away. This dish is hearty, full of robust flavor and very easy to make! The only step that took a few moments was cutting up the sirloin roast into bite size pieces and browning them before putting all the ingredients in the slow cooker. I added Bordeaux wine, but if you don’t have any wine open feel free to add more broth! You’ll love how tender and flavorful the sirloin cooks up. I served this with cauliflower mock mashed potatoes. The duo is so fabulous together. So much so that I tried to hide the last bit for my lunch. I need better hiding places. Alan snagged it as he left for work unbeknownst to me! Butcher Box also provides organic chicken, which you can opt to purchase through their subscription service. If you are considering this service, as an affiliate I will receive compensation for each order my readers make, which is used to run this site. 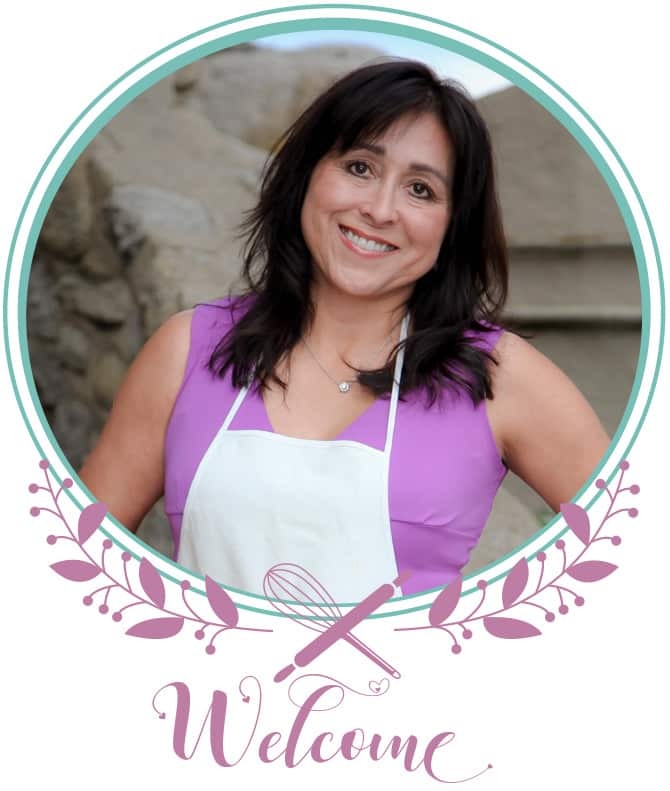 For The Foodie Affair’s readers Butcher Box will add FREE bacon to your first order if you sign up through the links in this post. Optional – To thicken sauce whisk together 1 tablespoon of cornstarch or arrowroot with 1 tablespoon of water. Mix into meat when there is an hour left on the timer. This is a sponsored post. Thank you Butcher Box for providing me with100% grass-fed beef. As always, I only recommend products or services I use personally and believe will be good for my readers. 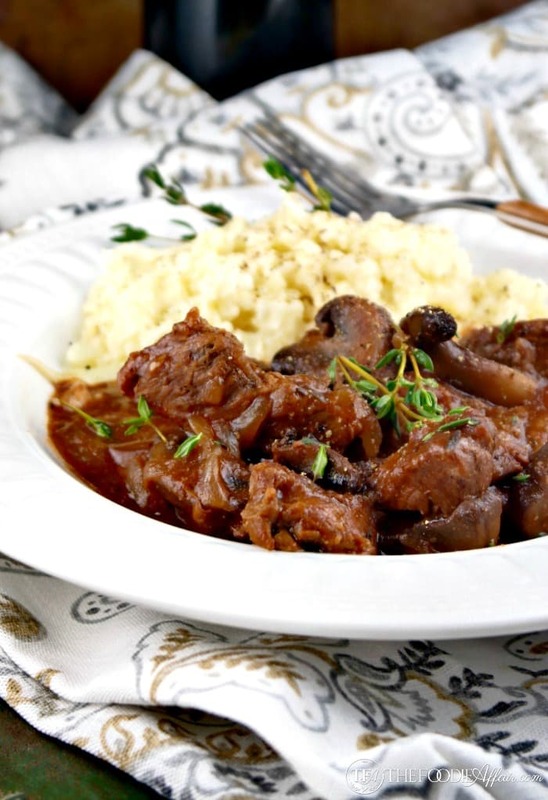 I always need new slow cooker recipes! They’re the best recipes, especially when you have a busy schedule! Toss everything in one pot and let it do its thing! Gotta love a home cooked meal that is so easy to put together! 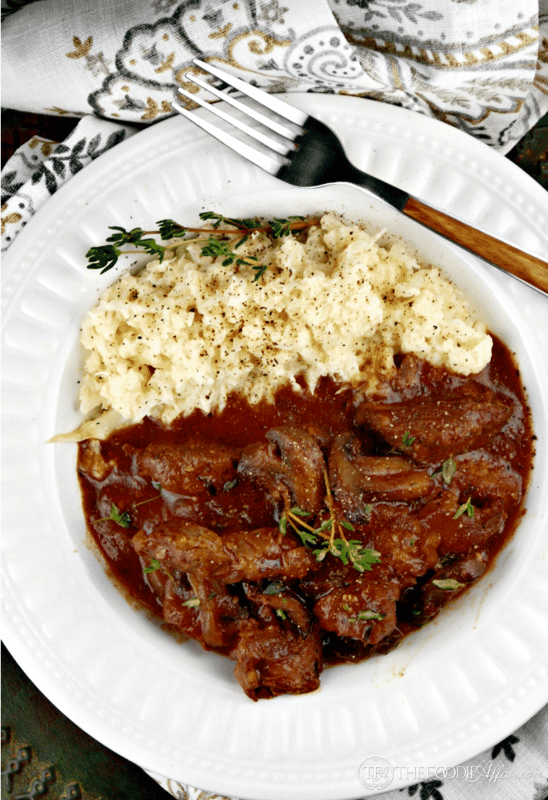 This sounds like a hearty and flavorful slow cooker meal! It really is filling and delicious. The meat came out soooo tender. Hope you have a chance to give this a try! ohhh Sandra this looks like such a family- and crowd-pleasing recipe. And it’s made in the slow cooker – bonus! Truly looks rich and delicious. Beautiful job! I love your presentation! My hubby and I are having a date night later this week and I think this would be a perfect fit! Thanks! Thanks so much, Katriza! Hope you have a wonderful time with you husband and enjoy this dish as much as we have. 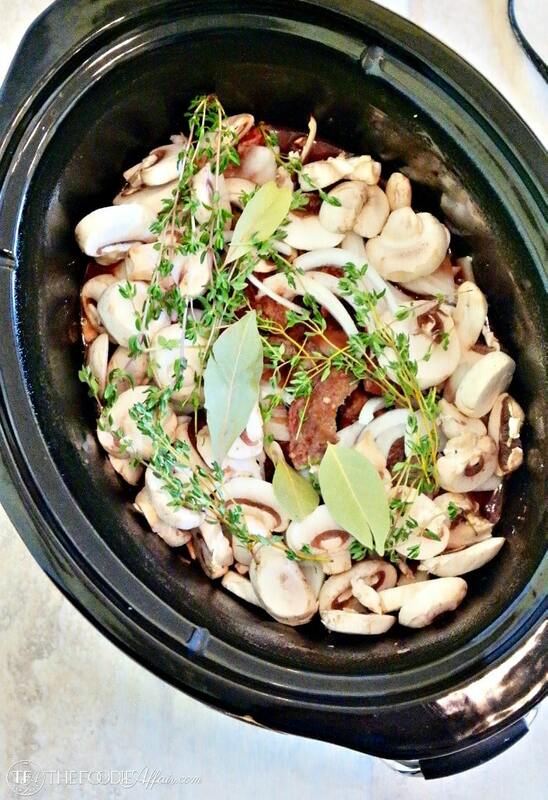 This looks like such a good slow cooker recipe! Yum! Oh this looks so tasty! It will be such a perfect dish now when autumn is fast approaching! This looks like an amazing slow cooker recipe. I am always looking for a new one. I use my slow cooker constantly when the weather turns cool. Um, this looks amazing. I love to have a new slow cooker recipe to try out. I’ve always been curious about these home delivery services. This recipe looks amazing. I will have to check out this service! I am a huge fan of anything in the crock pot, especially in the fall. This looks delicious! I’ve been getting more and more into crockpot recipes, certainly more-so in the winter months. Mondays are my busiest day of the week at work so it is always nice to come home to a “ready” dinner, definitely going to try this one out this week! Yes! I couldn’t agree more that when you walk into the house with a meal all ready…the stress of the day just washes away! Hope you enjoy this recipe! This is my kind of meal! I love how easy it is and I bet that beef just melts in your mouth! The beef is super tender! 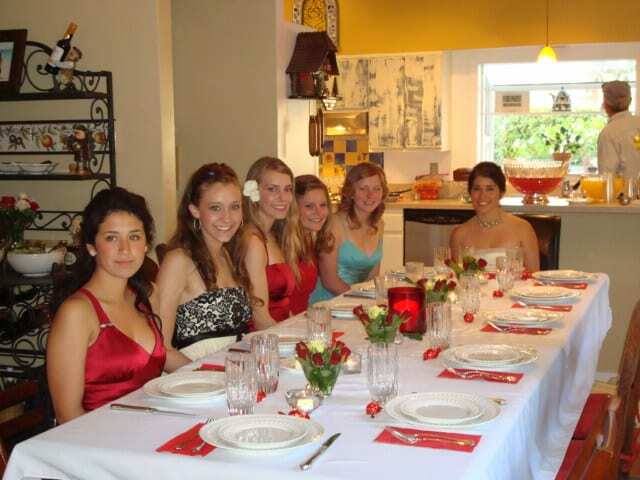 One of our favorite meals! What a brilliant idea for a subscription box! 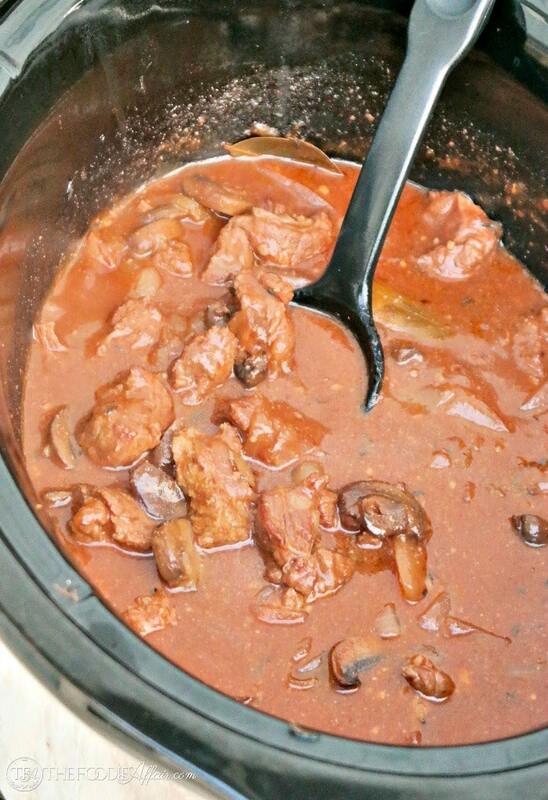 That sauce on those sirloin tips looks divine, cant wait to make this recipe! Oh my, I can just imagine how much flavor develops in the sauce! This looks like my kind of comfort meal and Im definitely going to look into Butcher Box! That sounds so awesome!! I’ve heard of Butcher Box, but now I must try it, as these tips look amazing. The family will love them! I keep hearing about the Butcher Box… I have to look into it and try it. Im saving this recipe for fall …. for all the warm comfort food cravings! Slow cooker recipes are always in demand. Your recipe is so easy to make and loved by everyone. These sirloin tips look AMAZING!!! I love they have mushrooms I love beef with mushrooms! Slow cooker recipes are the best, I love all these flavors! Our kids are going to eat this version of sirloin dips right up! I love that you use a slow cooker for this wonderful family meal. Thanks for sharing! 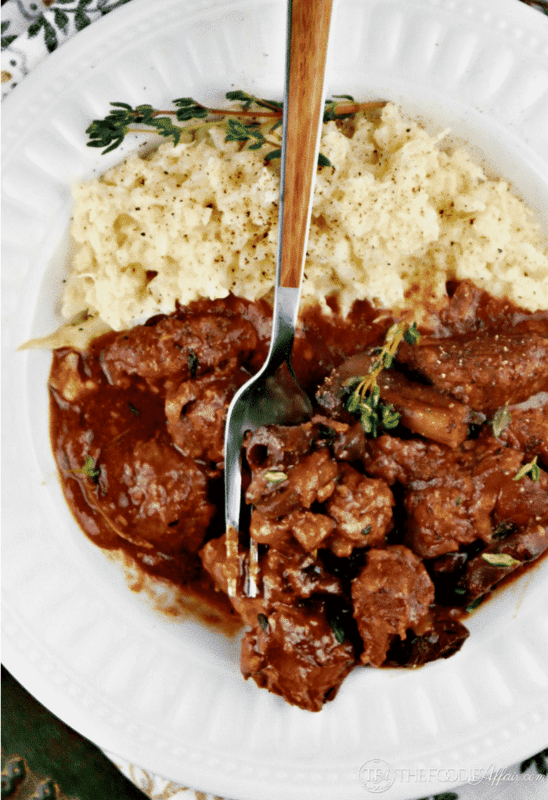 I love slow cooker recipes and this one is pure comfort food! Looks delicious! Steak and mushrooms are the bomb dot com.